Below you fill find all funeral homes and cemeteries in or near Plainview. Plainview is also known as: Nassau County / Plainview CDP. Zip codes in the city: 11803. Some of the notable people born here have been: Diane Franklin (actor and model), Seth Greenberg (coach and basketball coach), Bill Troiano (teacher and clinician), , Craig Scribner (actor), and Jonathan Ross Gilbert (businessperson and film producer). 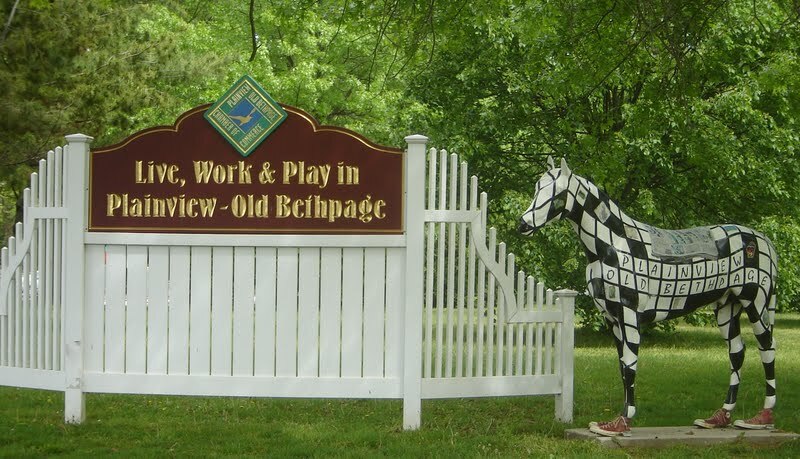 Plainview is a hamlet and census-designated place (CDP) located near the North Shore of Long Island in the town of Oyster Bay, Nassau County, New York, United States. The population of the CDP as of 2010 was 26,217. The Plainview post office has the ZIP code 11803.Plainview and its neighboring hamlet, Old Bethpage, share a school system, library, fire department, and water district. Law enforcement for the communities is provided by the Nassau County Police Department's, Second Precinct. It was reported by Des Moines Register on October 5th, 2016 that Jennifer Garcia (Lockwood) passed away in Iowa. Ms. Garcia was 45 years old and was born in Plainview, NY. Send flowers to share your condolences and honor Jennifer's life. It was written on November 25th, 2014 that Joseph Erin "Joe" Berrios perished in Plainview, New York. Berrios was 41 years old. Send flowers to share your condolences and honor Joseph Erin "Joe"'s life. It was disclosed on October 7th, 2013 that Theodore L Leffler perished in Plainview, New York. Send flowers to share your condolences and honor Theodore L's life. It was disclosed by Tampa Tribune on July 11th, 2012 that Steven John Borowiec perished in Ponte Verda Beach, Florida. Borowiec was 41 years old and was born in Plainview, NY. Send flowers to express your sorrow and honor Steven John's life. It was reported by Knoxville News-Sentinel on January 25th, 2012 that Vivienne Catherine Kassinger (Goetz) passed on in Farragut, Tennessee. Ms. Kassinger was 84 years old and was born in Plainview, NY. Send flowers to express your sympathy and honor Vivienne Catherine's life. Settlers named their town, Manetto Hill, the Native American term for "God". The town was then renamed, Plainview, for the "plain-view", the town had of the Hempstead Plains, from the top of Manetto Hill. Plainview remained a farming community, famous for growing cucumbers, until World War II. . Between 1950 and 1960, the town grew from a population of 1,155 to more than 35,000. P.O. Box 566 Plainview, New York 11803-0566 www. everlyfuneralhomes.com CAMIRE ... Also survived by 5 grandchildren. Reposing at the McMANUS FUNERAL HOME, 4601 Ave. N (at E 46th St) Bklyn. Funeral Mass Mon 10 A.M. Good Shepherd R.C. Church. Listing all funeral homes in Plainview, Texas so you can easily send flowers to any location (same day delivery) or find any funeral service. Plainview Funeral planning made easy! Learn how to pre-plan your funeral in Plainview, New York, including step-by-step directions. We work with local florists and flower shops to offer same day delivery. You will find budget sympathy flowers in Plainview here. Our funeral flowers are cheap in price but not in value.